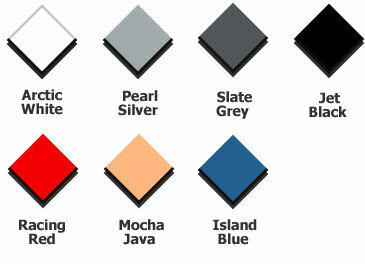 Floortrax tiles present a great look for offices, commercial spaces, garages and gyms. A solid tile with a lightly textured surface, Floortrax is non-slip, low maintenance and easy to clean. Floortrax can be installed in combination with other Swisstrax 13" tiles including Diamondtrax, Cointrax and Sportrax. Floortrax tiles provide a surface that allows for wheels and casters to easily maneuver and re-position. Floortrax is also available in Rubbertrax, our eco-friendly recycled rubber tile. Rubbertrax tiles are flexible and softer than our standard Polypropylene tiles, providing a more cushioned feel during extended periods of standing. Floortrax Rubbertrax tiles can also be installed in combination with our standard 13" tiles. 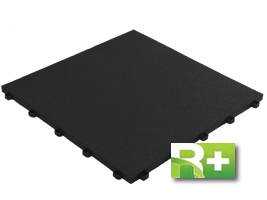 An additional option is to use our Anti-Fatigue Work Mats which are comprised of Ribtrax Rubbertrax tiles.